This is one of my cocktail cordials. It’s great on its own or during Christmas as a substitute for the Swedish Glögg. A Swedish version of Glühwein which I honestly never liked at all! Cut off the orange peel and ensure all white bits are removed. 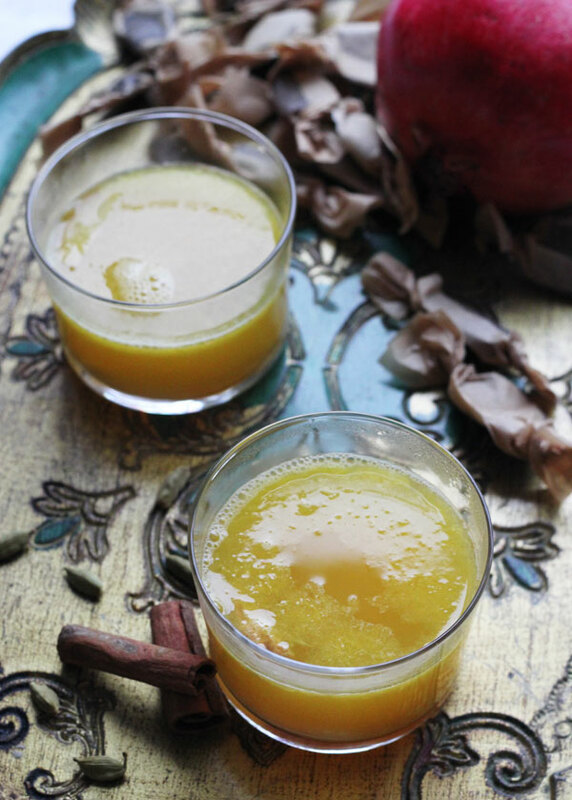 Add orange juice, cardamom, cinnamon sticks, orange peel, ginger and water to a pot. Bring to boil then reduce the heat. Let simmer on very low heat for 2-3 hours under a lid. Remove the pot from the heat and let cool down. Add the coconut nectar once cold, and store the cordial in the fridge overnight. Strain if preferred and heat up again with liquor of choice on low heat, be careful do not boil the cordial.